Narrated by the man himself, this intimate documentary about the left-field filmmaker is insightful, absorbing and wonderfully weird. Most modern filmmakers got their start in commercials and music video. 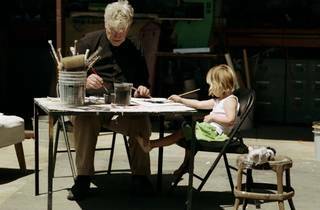 David Lynch, on the other hand, started out as a surrealist painter and indeed, his earliest short films "The Alphabet" and "The Grandmother" were partially animated. He wanted to see his paintings move. This documentary—directed by Rick Barnes, Olivia Neergard-Holm and Lynch acolyte Jon Nguyen—explores the master’s formative years, before Hollywood came improbably knocking. Lynch himself narrates in his familiar, good-natured drawl, recounting stories of his gee-whiz upbringing in Boise, Idaho and Alexandra, Virginia, where he met artist Bushnell Keeler and rented his first studio. It was here that Lynch became caught up in the idea of "the art life": He imagined himself drinking coffee, smoking cigarettes and meeting beautiful, mysterious women, all the while painting masterpiece after masterpiece. It didn’t quite work out that way—by 23 he was married with a daughter, and living in run-down Pennsylvania—but that vision has inspired him ever since. 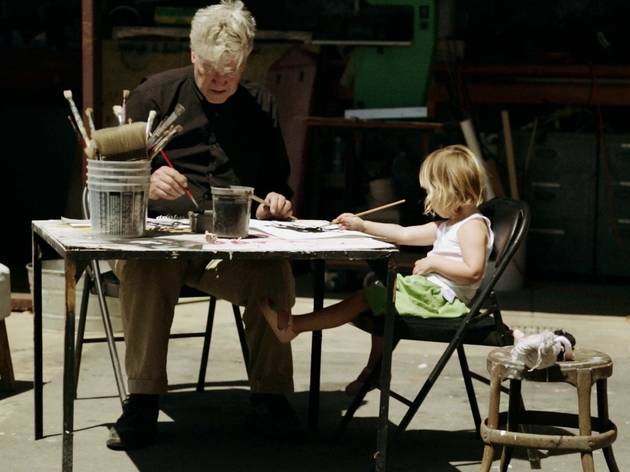 The Art Life is built around footage of the now 71-year-old Lynch pottering around his studio in the Hollywood Hills, often accompanied by his toddling daughter Lula, slapping paint and other substances onto huge canvases and working them with his hands. There’s old home-movie footage too, lots of it previously unseen, and it all feeds into that image of Lynch as the twisted by-product of middle America, an apple-cheeked Eagle Scout who somehow got drawn into the dark side. We also see hundreds of Lynch’s drawings and paintings, sometimes just flashing across the screen, sometimes lingered over in loving detail. Many are stunning, some haunting, others a bit slapdash. But they all feed our understanding of this idiosyncratic artist. Follow The Art Life up with the equally entrancing Eraserhead Stories’and you’ll have a complete picture of the first half of Lynch’s life. Can we have something equally in-depth about making The Elephant Man and Dune next, please?